$20 - Every day is like a picnic at the park in these new spring shoes by Mayoral! 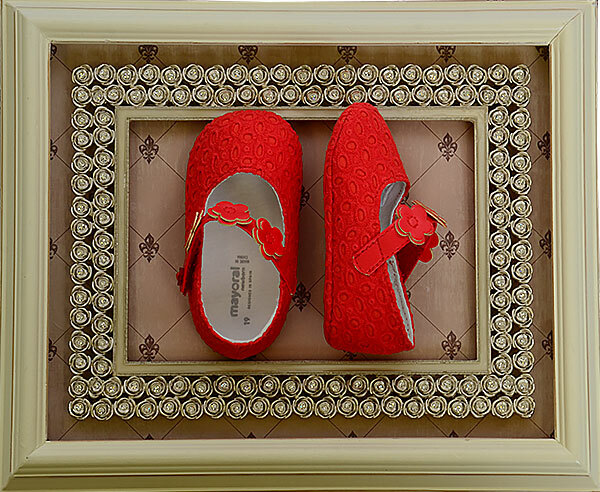 Covered in a red eyelet fabric, these dainty shoes will be her new favorite. In a mary jane style, the straps are covered in flowers and closes with velcro. With so many cute details, these shoes will be perfect for events like Easter, summer weddings, or just a day at the park!